The 1.8 Ton Heli Forklift comes with a super efficient Quanchai Engine, automatic transmission and a three stage full free mast, with a lift height of 4000mm. A perfect option if you are looking for a compact machine that offers a great performance, at a price that is totally affordable. It is best suited for warehousing, logistics, foods, chemicals, paints, beverages, mineral water, oil & gas, fruits & vegetable industries and businesses. Hala Equipment Trading is the sole distributor of Heli Warehousing Equipment, Wheel Loaders, Attachments and Tow Tractors in the UAE. 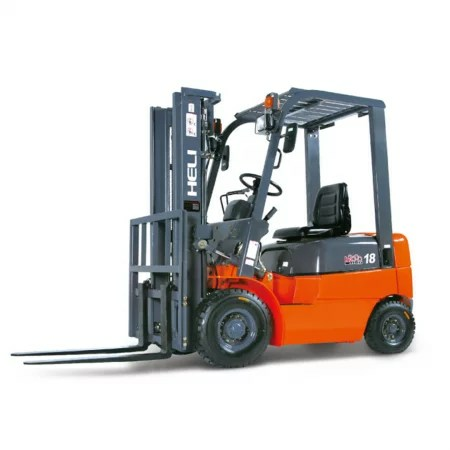 Heli is the No.1 in China and among the 10th largest forklift manufacturer. Our after sales service extends across all Emirates of the UAE including Abu Dhabi, Dubai, Sharjah, Ras Al Khaimah, Fujairah, Umm Al Quwain and Ajman.